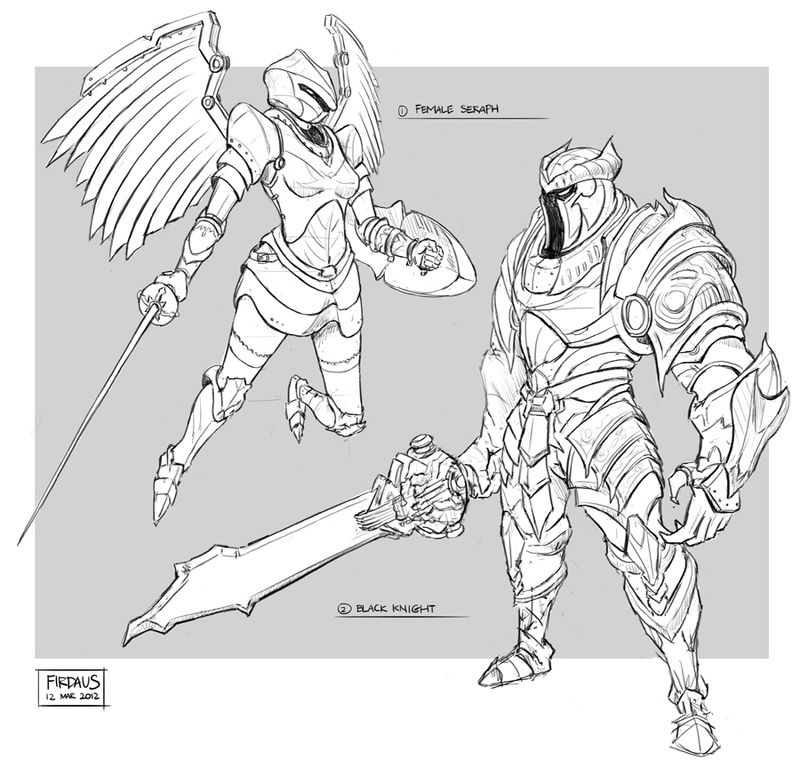 It occurred to me that my portfolio doesn't contain enough stuff for the fantasy genre. I've never actually done classic fantasy characters, since I'm relatively new to doing conceptual art. These are probably not the most interesting designs out there, but I'd like to see it as getting the generic ones out my system for a start. Also, the female seraph needs a bit more work.